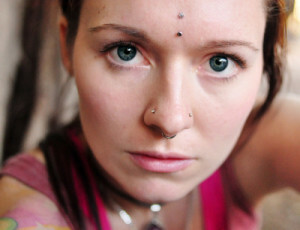 One of the variations of bridge piercing, third eye piercing is the perforation of the bridge of the nose done vertically between the eyebrows. Adding some appeal to the face, this style of surface piercing is most often referred to as bindi piercing due to its close resemblance to a significant style of facial embellishment followed by many women in some Asian countries. It is also known as vertical bridge piercing and unicorn piercing. 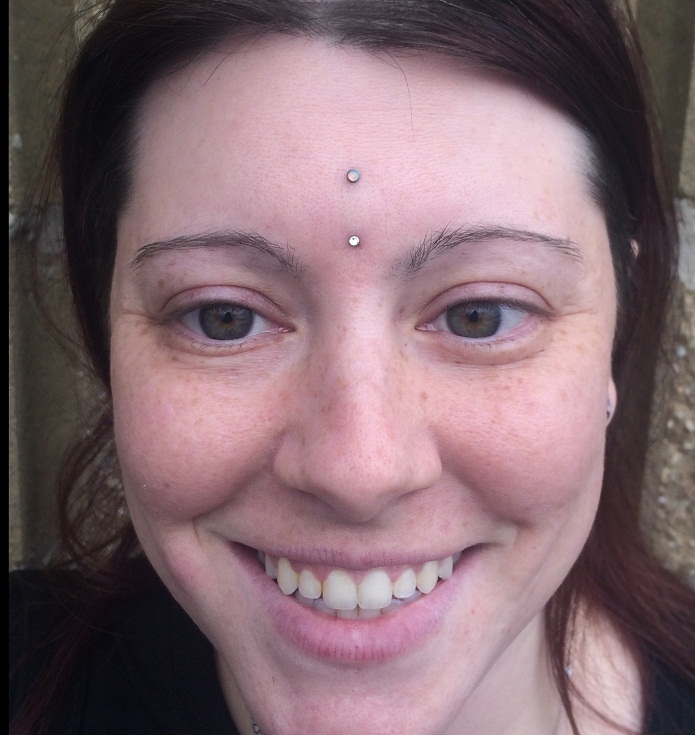 Get the piercing done if you find a piercing salon having considerable years of experience in bridge piercing. Since it is a vertical piercing, it must be straightly placed for which the professional piercer marks a grid on the desired location with a surgical pen before the procedure. Once it’s accomplished using a sterilized needle as done in a standard bridge piercing, the jewelry is inserted. 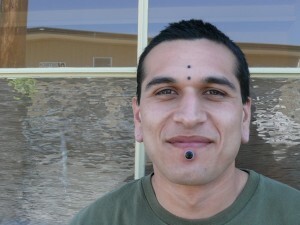 If the piercing is not placed precisely at the center of the forehead, the symmetry of the face may be affected. As bridge piercing is generally considered less painful, bindi piercing might not hurt a lot. The healing period of the piercing ranges from 4 to 6 months. As with any piercing, the pierced bridge must be cleaned with a cotton ball dipped in warm salt water twice a day to prevent the risk of infection. The possibility of migration and rejection is high for vertical bridge piercing as the region does not have excess skin, often resulting in scarring. In fact, do not go for the piercing if there are not enough loose tissues as it may lead to complications due to damage caused to the blood vessels as well as the bones and muscles in the forehead. Surface bars and curved barbells are suitable for the piercing, especially during the healing phase. Do not experiment with other types of jewelry such as ball closure ring as it may exert undue pressure on the piercing. 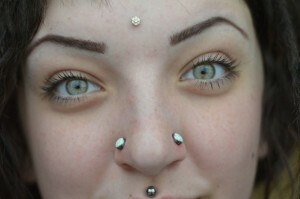 You might be charged around $60 to get a bindi piercing done in any sophisticated piercing studio.